The major e-commerce player, Overstock has to now wait for some more time to see itself immersed in the cryptocurrency and blockchain market. It had earlier plans to sell off its e-commerce business and use the money in its crypto business. But it has reportedly deferred the idea of selling its e-commerce business. The plan to sell the e-commerce business was released at the end of February. In a recent meeting for discussing last quarter results of the company, CEO Patrick Byrne said its shareholders that it had no strong timeline to sell off the business to invest in the crypto business. Patrick said that he wanted to hold on to this business, and he expected the business to perform extraordinarily giving access to a huge profit, which can be used for funding the new business of crypto business. He had last year hinted at the change of his priorities in holding business forever. He said in the interview that he had been managing the retail business as if he is going to hold it forever. Keeping the unit intact implies that Overstock is not going to be a pure player in the crypto industry any time soon. Jonathan Johnson, the president of Medici Ventures, the company’s blockchain investment arm, said that by selling the profitable e-commerce arm they could have gained a huge pile of cash to start a crypto platform with. 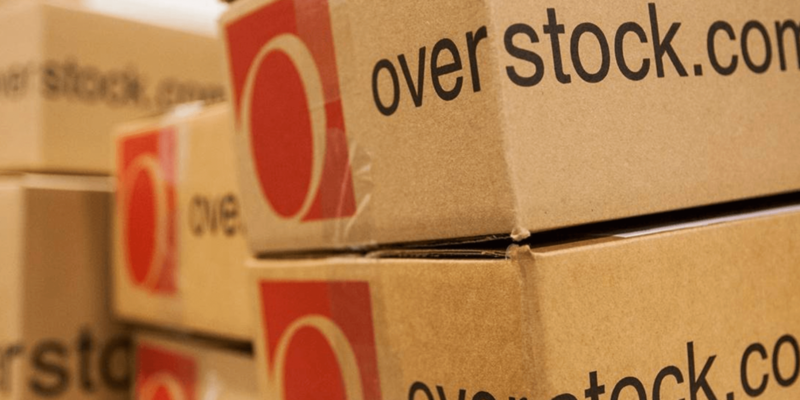 Overstock in its annual report mentioned if it would sell its retail business at this stage, it would not gain much looking at the current market scenario, and its revenue would shrink by a large margin. The annual report has been filed with the Securities and Exchange Commission. The report added, “Our retail business is a relatively mature and predictable business compared to our Medici initiatives, which have a short history, minimal revenues, significant expenses, significant losses, and significant uncertainties, and conduct business in a new and rapidly changing industry.” The SEC filing also mentioned that sale of the retail business would make Overstock a relatively smaller company. It should be noted, in the fourth quarter both tZERO and the retail business of Overstock had posted losses of $12.6 million and $27.7 million respectively, and the loss figures were higher than the previous year’s. The annual report also mentioned that the SEC had requested for a follow-up for the information on tZERO’s $250 million token sales. It is said to be part of the investigation previously started on the company. The investigation started in February 2018, and it is expected that the probe may drain a good amount of management resources. As per company sources and the annual report, in spite of these obstacles, tZERO is likely to get an in-house retail broker-dealer and partnering with another brokerage company. The company has announced earlier this year that a publicly traded companies called BSTX, in partnership with the Boston Options Exchange are likely to launch by the end of 2019.